team during the Cecafa Senior Challenge Cup final in Machakos. Stars take on Zanzibar in Sunday’s final at the Kenyatta Stadium, Machakos and the Belgian wants a buzzing atmosphere as he bids to lead the team to victory in his first assignment since taking over a month ago. 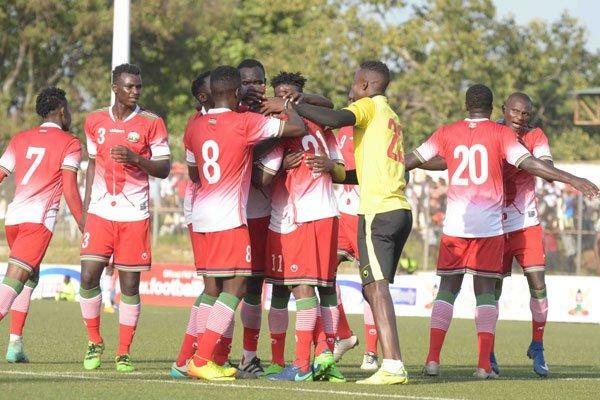 The move to take the final to Machakos has received wide criticism due to the low turnout of fans witnessed during the group stage matches, with critics arguing that Kakamega and Kisumu counties have been providing a more vibrant atmosphere. The stands at Kenyatta Stadium were barely half full when Stars played Libya, Zanzibar and Tanzania in the group stages. “I hope it will be the same in Machakos. The people turned up in numbers in both counties (Kakamega and Kisumu) and if you have their support, it makes work easier for the boys,” said the Belgian after beating Burundi 1-0 in the semi-finals at the Moi Stadium in Kisumu on Thursday.